The Valentino Beauty Pure Generation III table model delivers a fashionable and smaller solution to harmful dust and odors right at the source. The sleek, ergonomically friendly design is two inches high and sits between the client and nail technician, capturing the dust and fumes at the source as you work. 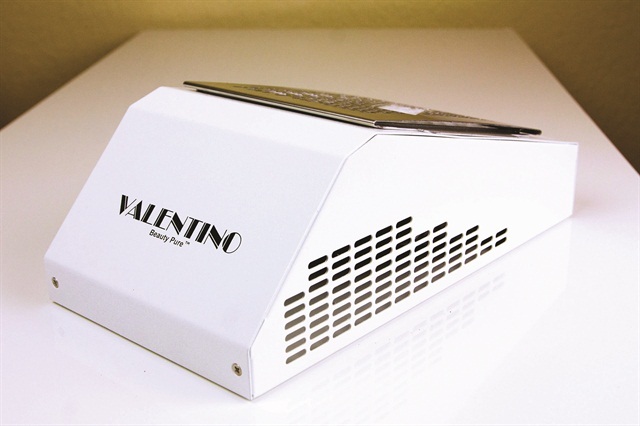 The Valentino Beauty Pure system works by utilizing a high-quality polysorb-activated carbon media filter treated with an anti-microbial coating, along with a powerful fan that’s fully adjustable. The fan pulls nail dust/odor down through the filter, leaving nothing but clean, odor-and-chemical-free air at the source.